Dr. Terry Kupers, M.D., M.S.P. wrote the introduction to From the Bottom of the Heap and is Institute Professor at The Wright Institute in Berkeley, California. Dr. Kupers is a psychiatrist with a background in psychoanalytic psychotherapy, forensics and social and community psychiatry. His forensic psychiatry experience includes testimony in several large class action litigations concerning jail and prison conditions, sexual abuse, and the quality of mental health services inside correctional facilities. 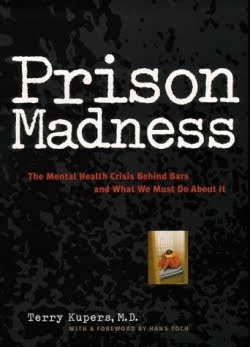 He is a consultant to Human Rights Watch, and author of the 1999 book entitled Prison Madness: The Mental Health Crisis Behind Bars and What We Must Do About It. King and Kupers were interviewed in Oakland, California in October, 2009, when King was in town for Black Panther History Month. This video is only part two, so please stay tuned for more!